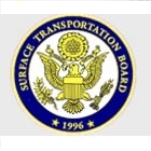 An independent agency under the administrative umbrella of the Department of Transportation, STB is responsible for regulating the rail industry. The successor agency to the Interstate Commerce Commission (ICC), STB came into existence out of the Interstate Commerce Commission Termination Act of 1995. The ICC had been established more than a hundred years ago, when, in response to unrest in the general public about railroads abusing power, President Grover Cleveland signed the Interstate Commerce Act of 1887. Over time ICC was given regulation jurisdiction over most surface transportation involved in interstate commerce as well. This included trucking, buses, water carriers, and some pipelines. But there were various exemptions, and continuing legislation posed new problems, as some laws strengthened ICC’s authority in certain areas, while others allowed less regulation in other areas. Transportation routes and industries also grew markedly as technology advanced, and different bodies saw the ICC’s handling of its inherent progression of power differently as the decades rode by, with frustration, criticism and confusion constantly in the picture. During the Reagan administration, there were attempts to abolish the ICC, but it was President Bill Clinton who finally pulled the plug in 1995 and replaced it with the STB. However, debate about regulations of the railroads is ongoing. Developing and promoting rail line regulatory reforms. Continually seeking ways to increase fiscal responsibility in the railroad industry. Resolving railroad rate and service disputes. Enforcing compliance of rail operation laws. Enforcing compliance with environmental-related laws. Approving or rejecting proposed railroad mergers. Determining if a company can enter or leave the railroad business; approving or rejecting abandonment of a rail line. Overseeing and addressing rail transportation emergencies, whether caused by damaged rail tracks, congestion, or the inability of a carrier to meet its transportation obligations. Facilitating parties who would like to use a banked rail line as a trail or park until it is needed again for rail use. Longtime railroad union attorney Daniel R. Elliott III was the focus of controversy before he was confirmed by the U.S. Senate, thanks to his former boss at the United Transportation Union (UTU), the nation’s largest rail union. Elliott was sworn in August 13, 2009. After it was announced that Elliott was chosen to take over the Surface Transportation Board, which regulates railroads, UTU President Malcolm B. Futhey gloated on the union’s website that their political clout was the reason for President Barack Obama’s decision. The bragging did not sit well with Republican lawmakers or Senator John D. Rockefeller IV (D-WV), chairman of the Senate Committee on Commerce, Science and Transportation, which handled Elliott’s confirmation hearing. To avoid having Elliott’s nomination held up over the remark, Futhey issued a public apology to the committee. Elliott was born in Ann Arbor, Michigan, in 1962 and grew up in Cleveland. 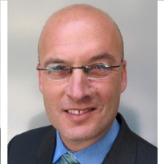 He graduated from the University of Michigan in 1985 with a degree in political science and earned a law degree from Ohio State College of Law in 1989. Elliott worked in private practice in Cleveland and Washington, DC, handling a variety of litigation matters, before he joined UTU in 1993. Serving as associate general counsel, he represented labor matters before the Surface Transportation Board, National Mediation Board, National Labor Relations Board and in Department of Labor federal grant employee protective arrangement proceedings. He was with UTU for 16 years, until being chosen for his new post in the Obama administration. 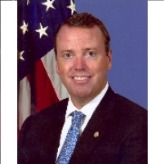 Chip Nottingham received his undergraduate degree from Wesleyan University, with a major in history, and then worked for three years in the field of environmental policy and regulatory issues at the U.S. Department of Justice, at a private law firm, and as a legislative consultant for the American International Group, an international insurance company. After earning his law degree from George Mason University School of Law in Arlington, Virginia, he served as youth campaign advisor, counsel and chief of staff for Republican Congressman Tom Davis of Virginia; chief of staff for Republican Congressman Bob Goodlatte of Virginia; assistant secretary of transportation, and commonwealth transportation commissioner for Virginia Governor Jim Gilmore, also a Republican; as chief executive officer of the Virginia Department of Transportation; as counsel to the U.S. House of Representatives Committee on Government Reform; and as associate administrator for policy and governmental affairs at the Federal Highway Administration. Nottingham was sworn in as Chairman of STB on August 14, 2006. He served until March 2009 when he moved down to Vice Chairman to make way for President Barack Obama's choice of Chairman. Nottingham has been a consistent contributor to the Republican National Committee, and to Republican campaigns, particularly Friends of George Allen and Tom Davis for Congress, both in Virginia, where Nottingham resides. In addition, in 2004 Nottingham gave to the Bush-Cheney Compliance Committee and the Bush-Cheney Primary, and in January 2008 he contributed to John McCain.